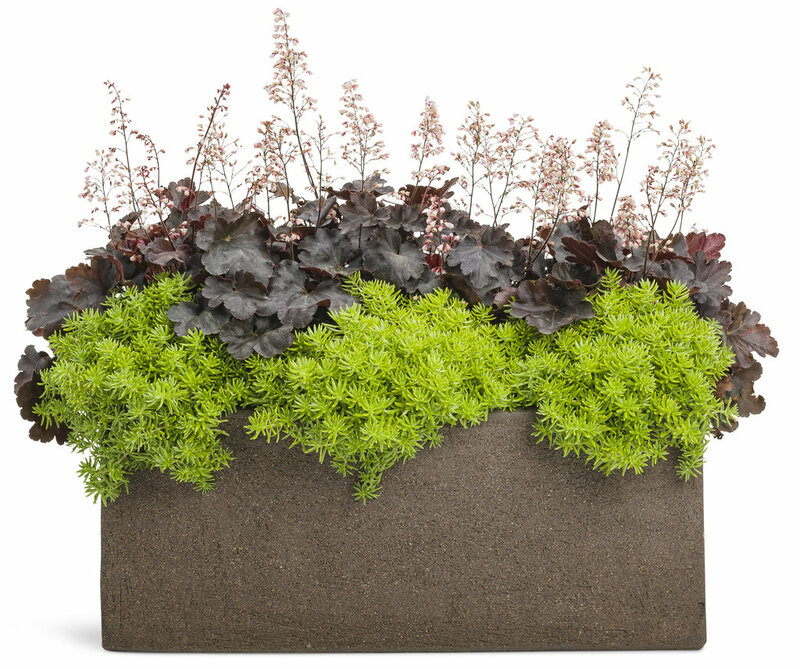 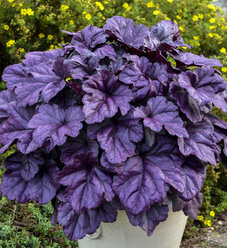 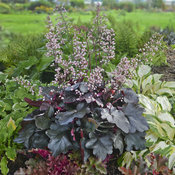 This dramatic deep purple-black form of coral bells provides perfect contrast in combination containers and at the front of the border. 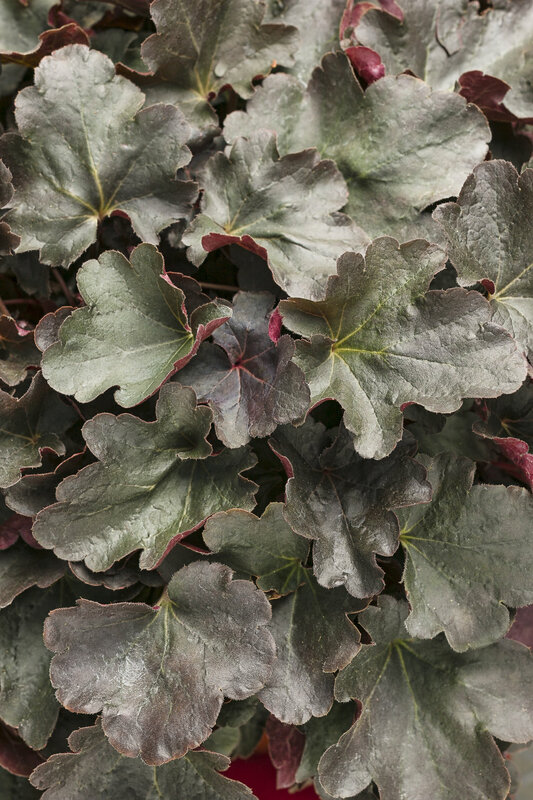 Its attractive foliage remains dark all season. 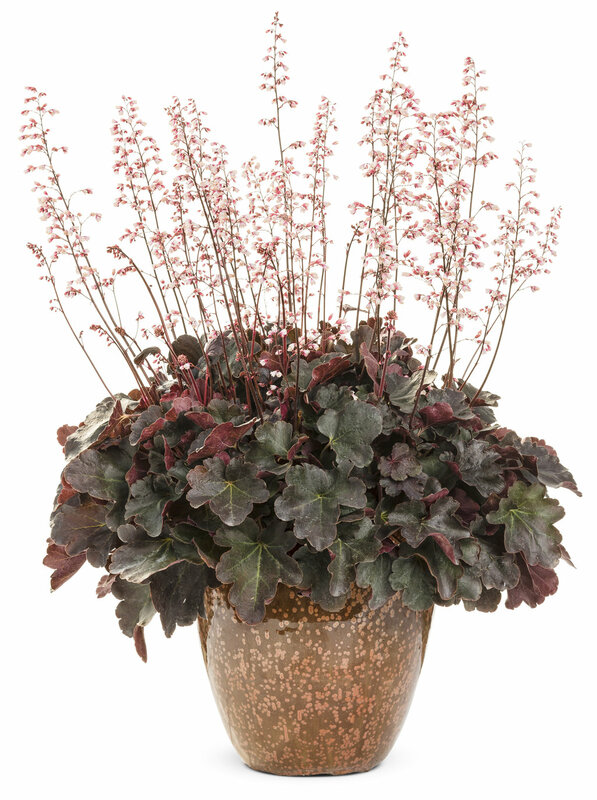 Deep red scapes carry showy panicles of hot pink buds which open to pale pink and white flowers in midsummer and possibly again in early fall. 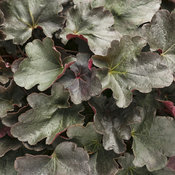 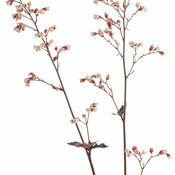 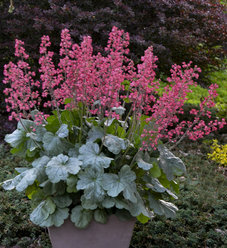 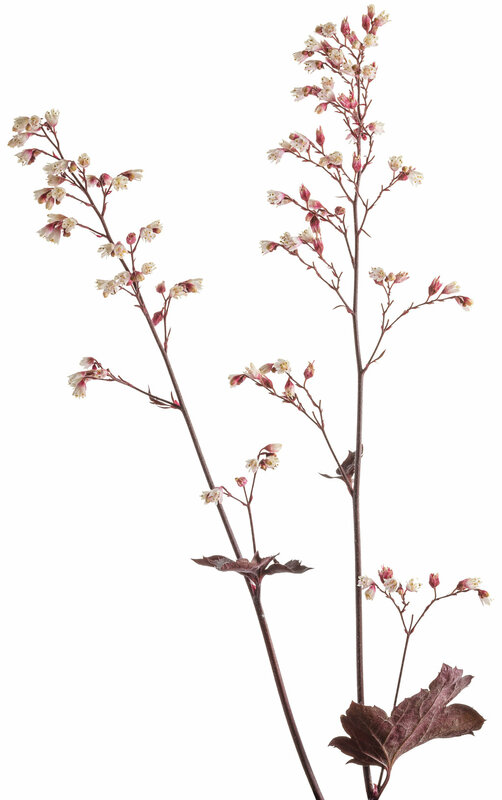 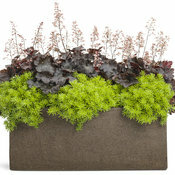 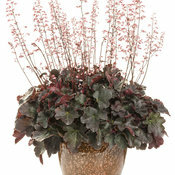 Coral bells thrive in part shade but will grow in sun or shade. 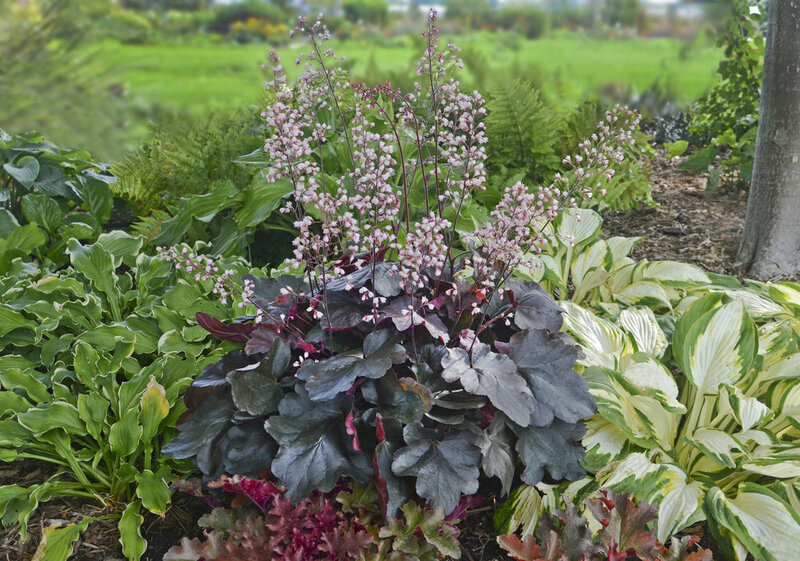 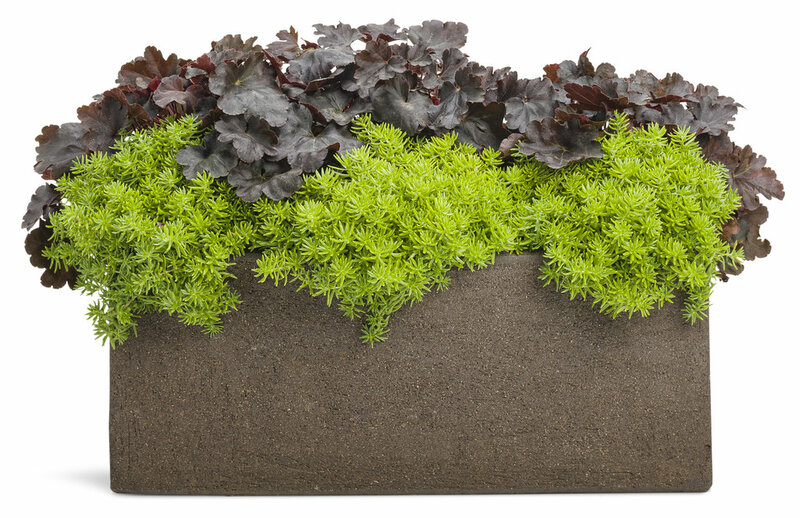 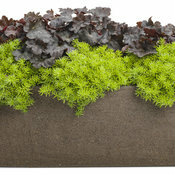 Well-drained soil is necessary for it to overwinter well. 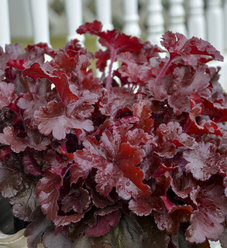 Salt tolerant.